Man Utd fans have given a shock snub to Old Trafford hero Cristiano Ronaldo over a potential return to the club. The Portuguese star was linked with a return to Man Utd earlier in the summer, with Ronaldo reportedly frustrated over his tax evasion case. Man Utd’s hopes of resiging the player were dashed as the player returned to training with Real Madrid ahead of the season, according to the Mirror. 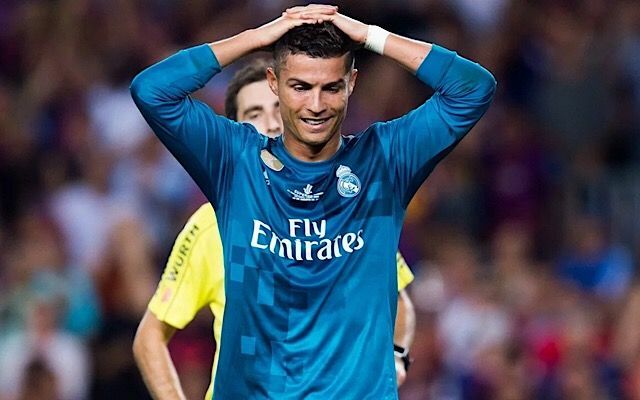 Yet Ronaldo’s future is once again under intense scrutiny after Real Madrid’s Spanish Super Cup clash against Barcelona. Ronaldo receieved a five game ban for pushing the referee, and once again Man Utd have been alerted to his unhappiness in Spain. Man Utd fans have taken to social media with their surprising views on a potential Ronaldo return to Old Trafford. “Cristiano Ronaldo can have a dream of returning to Manchester United same as Martin Luther King but we dont want him simples” said one fan.